Home / Face / What Causes Acne and How to Cure It? As we reach adulthood, we believe that our breakouts are gone for good. Unfortunately, this isn’t always the case. 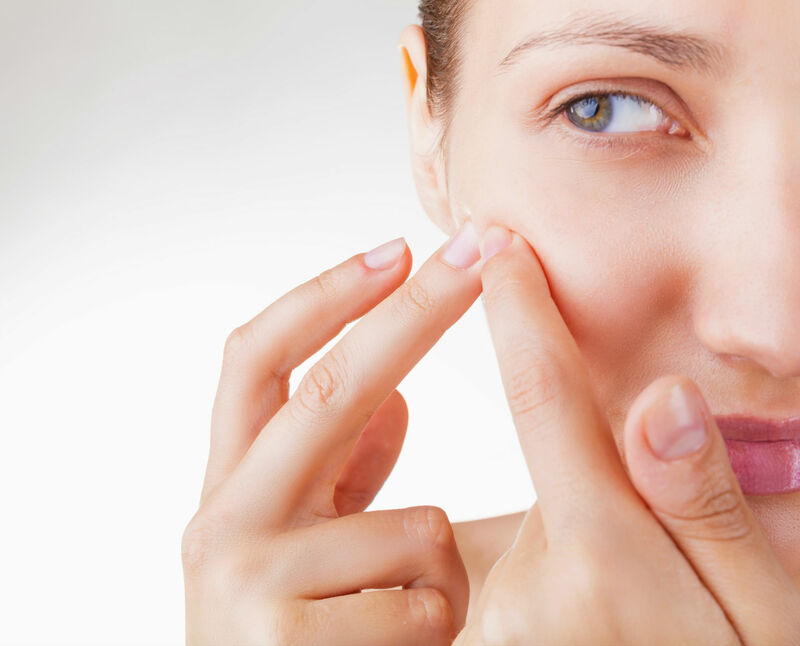 For many adults, acne can be a long and continuous battle for clear skin. Getting rid of unsightly pimples is not always easy, as there are different types of acne with various causes. Determining the cause of your acne is the first step towards remedying the problem. While many people want to know how to prevent acne, most are clueless when it comes to the best acne treatment. However, once you know the underlying condition, you can work to clear up your skin using a combination of products, treatments, and lifestyle tips. Learn what causes acne and the best way to cure it. Acne is a common skin condition that develops when follicles are clogged with dirt, oil, and dead skin cells. Most types of acne appear as blackheads, whiteheads, or pimples on the face, chest, shoulders, or upper back, although it can also develop in other areas of the head or body. Hormones are a leading aggravator that can result in sudden breakouts. When hormones change due to puberty, pregnancy, menstrual periods and other similar factors, the sebaceous glands tend to enlarge and produce more sebum. This in turn, causes acne. Adults who suffer from hormonal acne will usually have a breakout on their chin and jawline. And sometimes, it’s not just a regular pimple but painful cysts underneath the skin. Moreover, what you eat can also have a direct impact on the look of your skin. Certain foods, such as bread, chips, and bagels among others are known to worsen acne. Food high in sugar and carbs may cause your blood sugar to spike triggering an increase of insulin which can lead to the production of pore-clogging cells. Stress, along with certain medications like testosterone, lithium, and corticosteroids, can also contribute to breakouts. Depending on the severity of the acne, pimples can also leave a scar on the skin resulting to permanent marks that can affect your appearance and self-esteem. A diet containing too many refined carbohydrates has been found to increase breakouts. One study found that those who ate a low-glycemic index diet had a 22 percent reduction in acne compared to people who ate high GI foods. It’s very important to always cleanse your face every morning and evening. Before washing your face, make sure to wash your hands first to avoid transferring any dirt from your hands to your face. Also, use a face wash and toner that include sulphur and anti-bacterial ingredients (such as Azelaic Acid from Purifying AZA Cleanser and Toner) to stop the growth of acne-causing bacteria and to keep your pores clean. Invest in using a non-comedogenic moisturizer which contains ingredients that reduces your risk of having clogged pores. The Cutis Anti-Acne Peel is an effective acne treatment derived from the willow plant that has been found to unclog pores and kill acne-causing bacteria. An Anti-Acne Peel is an excellent option for men and women suffering from mild to moderate acne blemishes. Another effective option is the Vi Peel, a stronger chemical peel treatment designed to improve skin tone, soften wrinkles, eliminate age spots and freckles, and clear acne skin conditions. Three days after a Vi Peel treatment, the skin will start to peel off which can last from five to seven days. Once the peeling is complete, you will notice a healthier and clearer skin. In combination with a chemical peel treatment, a laser procedure such as Laser Genesis helps to further treat acne. It is a US FDA approved treatment without downtime, which reduces the inflammation and helps heal potential scarring from acne. This treatment also reduces enlarged pores and works to improve the texture of your skin by stimulating collagen growth with repeated treatments. Normally, at least five treatments are recommended for the best results of Laser Genesis. In Singapore, laser treatments for acne and other skin conditions can only be performed by an experienced aesthetic doctor with a certification from Ministry of Health. There are a number of topical medications on the market designed to reduce breakouts. Tretinoin and Differin, types of vitamin A topical medications, have been found extremely useful in reducing blemishes on the skin. As always, do your research and only consult a certified aesthetic doctor before starting any type of medication for your acne. Know that not all acne treatments will work the same way as each person’s skin is unique. It’s important to consult an aesthetic doctor to know the suitable acne solutions that works for your specific skin type. Learn more about the treatment options mentioned by scheduling your consultation with our Harvard-trained aesthetic doctor, Dr. Sylvia Ramirez, at the Cutis Laser Clinic.